Samsung has unveiled its latest Galaxy smartphone, the Note 3, an NFC-enabled handset with a 5.7-inch full HD Amoled display and 13 megapixel camera which can capture 1080p video at 60 frames per second. A 4G LTE model has a 2.3GHz quad core processor while a 3G variant will use a 1.9GHz eight core system-on-chip. Both versions will run Android 4.3 Jelly Bean and include a front-facing 2MP camera to complement the larger rear one, which is able to capture 4K video dependant on the model. Samsung’s Smart Stabilization technology will be used by both cameras. 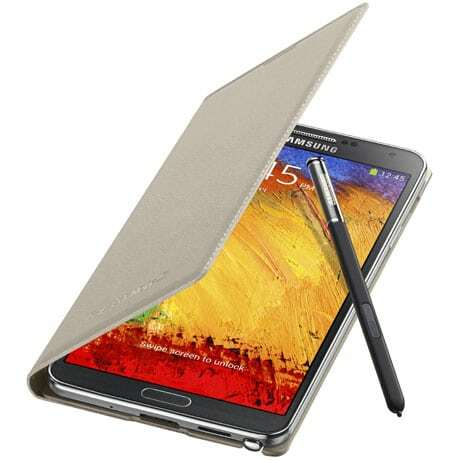 The Note 3 will include an updated version of the S Pen stylus that can operate a new Air Command feature to give quick access to a palette of tools including scrapbooking, memo writing and multi tasking. As well as NFC, Bluetooth and its LE variant will be included. Samsung Knox, the company’s TEE-based security solution, will be preloaded. The Note 3 will be available in 149 countries from 25 September, with an October release date scheduled for the US and Japanese markets. Samsung has also taken the wraps off its long awaited smartwatch, the Galaxy Gear. The device is compatible with the Galaxy Note 3 and the latest version of the Galaxy Note 10.1, also announced today. Pre-launch rumours suggested the Galaxy Gear would support NFC authentication functionality but the technology does not appear to have been included in the device. UPDATE The Galaxy Gear may after all have NFC, albeit in a very limited way. A hands-on video posted by GigaOm shows how the initial connection of the smartwatch to the host smartphone is achieved with a tap of the watch’s charger to the handset which, says a Samsung representative, “downloads the Galaxy Gear software automatically” and pairs the two devices. NFC World believes it is probable this is achieved with an NFC tag mounted on the charger.